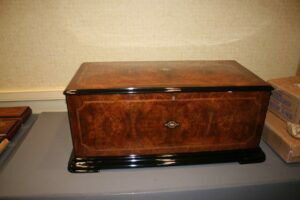 Here is wonderful example of the quality music boxes we get to work on. As you can see we have done a complete restoration of the beautiful instrument. We had to rebuild the bellows from scratch and for anyone who is thinking about do it themselves it is major undertaking and even though we have done many thru the years it takes many hours to do a correct job. It can’t leak any air once your done or it just won’t have the power to play the music. The governor on this music box (the governor controls the speed/tempo of the motor) was not original when we got it and we had to make many of the parts (done from pictures of it in its original state). We had to calculate the proper gearing as it was playing way to fast with what it had and this was another one of those items where years of restoration work pays off as you can make an educated guess of what it needed to be. 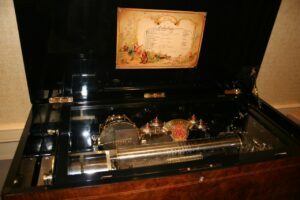 It takes all lot of power to operate the music box so having the correct speed on the governor was critical. 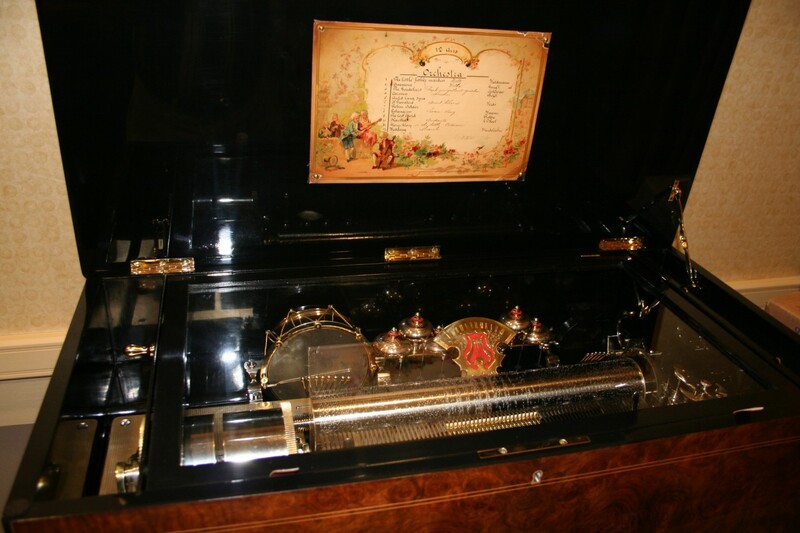 This was a wonderful music box to listen to when completed. 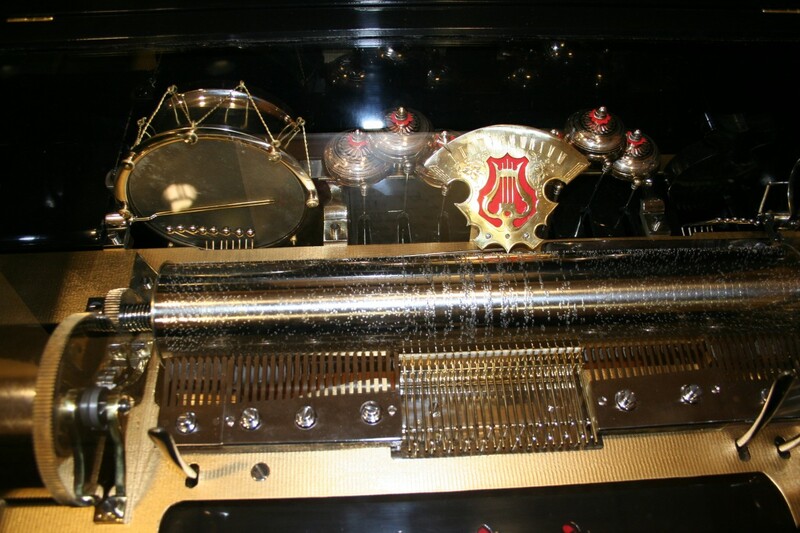 With most Organ & Bell boxes these two often over powers the musical combs, but not his one the combs embellish the organ & bells perfectly. I will admit it took many tries to get this done. The cabinet was also completely restored by our cabinetmaker in Italy. The craftsmanship of our cabinetmaker is unmatched. It is a work of art in it self!